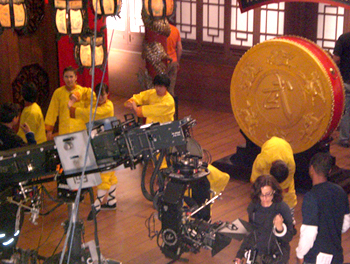 KungFu Panda Music Video Shoot (April 2008). 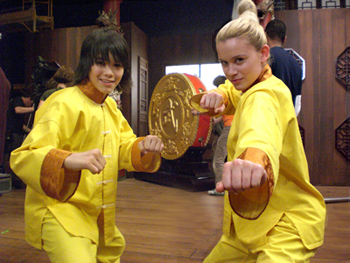 To promote the new animated feature, we did traditional Martial Art "Forms", and got to wear cool Wushu attire as well. Choreographed my Mr. Eric Chen, the talent was amazing and I was honored to be a part of such a fun experience!